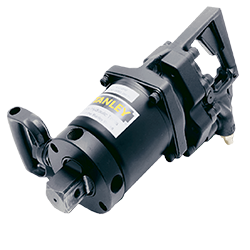 The Hydrant Saver can be powered by the IW24 Impact Wrench to safely remove fire hydrant valve seats - even those that have seized due to lack of periodic maintenance. The Hydrant Saver allows servicing of hydrants obstructed by walls, fences, buildings, etc. that previously had to be replaced. Two complete kits available: Northern Kit with 8 ft. power tube and the Southern Kit with a 6-1/2 ft. power tube. 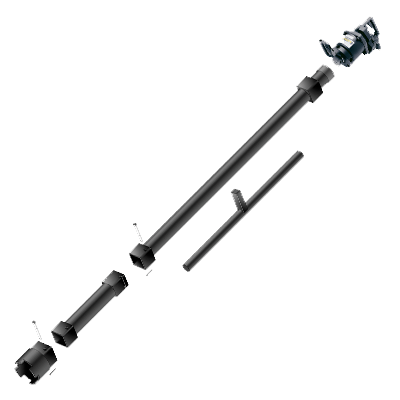 Both kits include a 1-1/2 ft. extension, alignment wrench, retaining pins, and a Mueller 5-1/4 in. socket. A complete selection of sockets is available from Stanley Hydraulic Tools to fit the most commonly found hydrants. Next time a fire hydrant is siezed, don't replace it - SAVE IT! With the Stanley Hydrant Saver! Extensions and Tubes 30716 Power Tube, 8ft. 30717 Power Tube, 6-1/2 ft.